When I started developing SocNetV back in 2005 the term “social network” had a simple sociological meaning; any group of somehow “connected” actors, which might interest a sociologist to study and analyse in terms of their social properties and patterns (centralities, triads, etc). The actors can be of any type (humans, animals, organisations, companies etc) and so the cause of them being connected: working in the same place, belong to the same hive/group, mentioning each other, having commercial relations etc. Thus the main reason behind developing SocNetV was to create a simple “point and click” application that would enable the researcher to load his real-life gathered data and visualize/analyze the network properties. Or, in case the network was small enough, perhaps recreate it with some clicks on a canvas before analysing it. Back then it had never occurred to me that the same “social network” would be used now-days to describe online communities of million of users. As a matter of fact, I always thought that this strand of sociology is more meaningful in analysing relatively small groups rather than thousands of interconnected actors. Nevertheless, the term is used now this way too and this means that Social Network Analysis software such as SocNetV face a new problem: people not knowing anything about Social Network Analysis as a hybrid sociology-mathematics discipline think that all the software does is to “automatically” analyse any given online virtual community; who is connected to whom and how. Which is certainly not true. This is the abstract of a paper published in the International Journal of Performance Analysis in Sport (Vol.15, No.1). In the paper we analyzed the network characteristics of successful and unsuccessful national teams that participated in FIFA World Cup 2014. SocNetV version 1.2 released with lots of goodies! 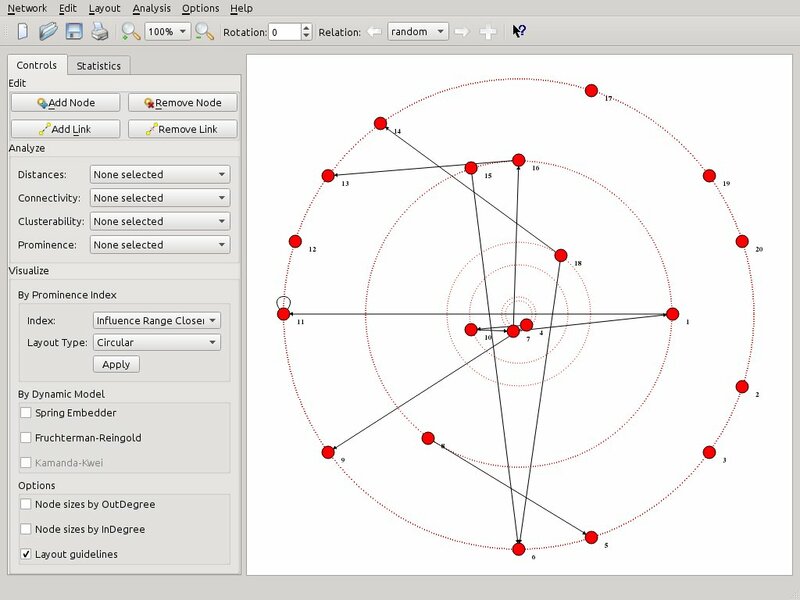 A new version of SocNetV, the cross-platform tool for social network analysis and visualization, has been released. Version 1.2 brings a major GUI overhaul, a new conceptualization of “prominence” measures, new importance and reachability measures, many new visualization layouts based on the new indices, and fixes a slew of bugs (see below). Here’s a series of 31 images taken with a Dino-Lite digital microscope. I won’t go in details about the original source of the images, since most of them are pretty obvious (i guess). If you’re interested in Social Networks Analysis and Visualization (I’m not talking about FB/Twitter here! ), check out our latest and greatest release of SocNetV, version 1.0. Needless to say: SocNetV is a GPL3 application. It is free software (free as in freedom). You can copy it, modify it and redistribute it as long as any derivative work remains free software. Enjoy. Requirements Specification (SRS, see Wikipedia) document in PDF format for Social Network Visualizer.